Fruit put the City of Nelspruit on the map in the 1890s, and fruit has always played a vital role in the town's development. The fertile Crocodile River Valley, in which the town lies, is also notable for its tobacco and timber industries. Nelspruit today is the capital of Mpumalanga, the commercial and administrative hub of the Lowveld, and the centre of a vast citrus-growing region. 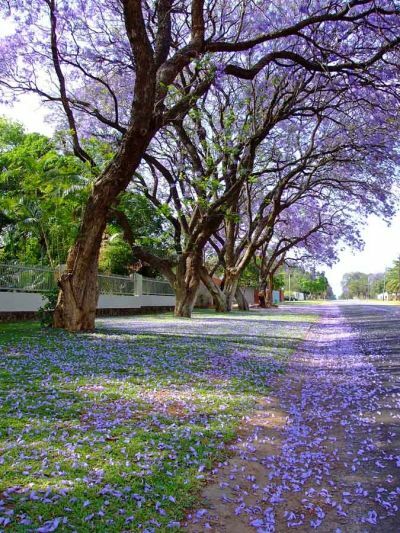 The streets of this large, modern town are lined with jacaranda and flamboyant trees and impeccably tended suburban gardens abound, flaunting flowering subtropical plants and shrubs. From Nelspruit, good roads radiate to many of the most beautiful and interesting parts of the Lowveld, including game sanctuaries, mountains and historic towns. Curio shops and wayside stalls offer excellent hand-woven rugs, carvings, leather goods and fresh farm produce. Hotels in Nelspruit and caravan parks in the vicinity are convenient for stopovers, and several days can be profitably spent exploring the surrounding countryside. Hiking trails criss-cross this scenic area in every direction. Graskop is a small town in Mpumalanga province, South Africa. It was set up in the 1880s as a gold mining camp but it now serves as a tourist destination and the timber industry. The name is Afrikaans for grassy peak. 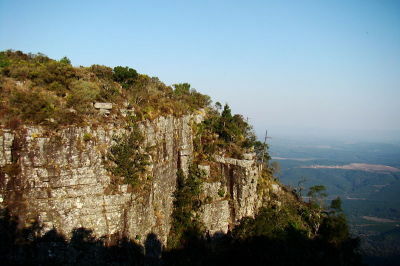 “God’s Window”, a breathtaking view from the escarpment of the Lowveld below, is located outside the town. lacks the picturesque charm of some of the other little towns in Mpumalanga, but is a very convenient jumping-off place for exploring the R534 which begins just 3km north of the town better known as the spectacular Panorama Route. Bourke's Luck Potholes, God's Window and the Sabie Waterfalls are all within easy driving distance.Even a hardened cynic would find it difficult not to be awed by the physical and spiritual beauty of the outlook from God's Window, while the dramatic landscape of the Blyde River Canyon and its nature reserve, which stretches from Graskop right up to the Abel Erasmus Pass, is also magnificent.Graskop owes its origins to the heady days of the 1880s gold rush, when hopefuls from all over the world flocked to the area. Today the area is surrounded by pine and eucalyptus plantations that stretch from horizon to horizon the world’s largest man-made forest at more than 4 million square km. Instead of the old ox wagons plying former trading routes, today you'll see huge timber trucks rumbling along the roads. It's worth travelling east from the town to the scenic Koewyns Pass. Named after a local Pedi chief, it has panoramic views of the Graskop Gorge.If you're driving a 4x4, take the Summit Route, rated as one of the top 4x4 routes in the country. 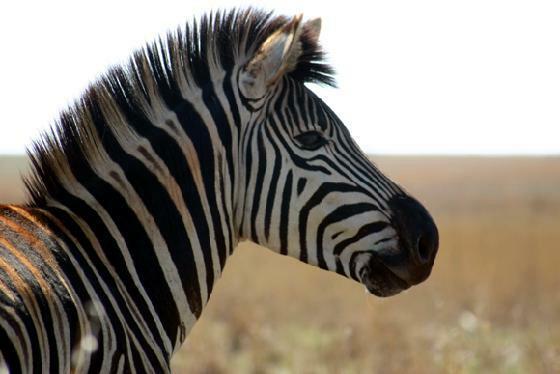 It's user-friendly and takes you through some of the region's most dramatic scenery.If you feel the need to stretch your legs, then choose the 8km, 3-hour Jock of the Bushveld Trail, a circular route that starts in Graskop, traverses the edge of the escarpment through a 'forest' of strangely shaped rocks, before heading back to town. The largest game reserve in Africa, the Kruger National Park stretches for 352 kilometres from north to south along the Mozambique border.It offers South Africa’s richest and most comprehensive wildlife experience in 2 million hectares of unspoiled African bush. There are 16 different eco-systems and, along with the much sought after Big 5 there are 147 species of mammals and 507 species of birds. 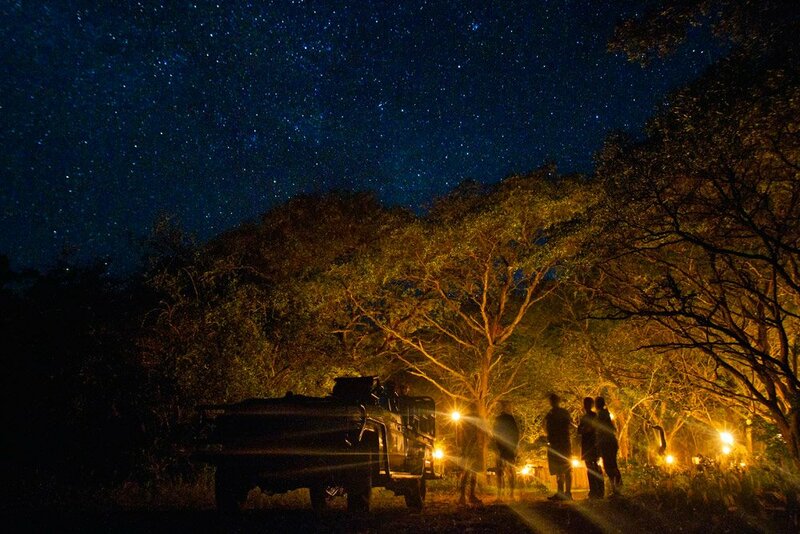 Going on a safari in ‘The Kruger’ is a major highlight of any trip to sunny South Africa. 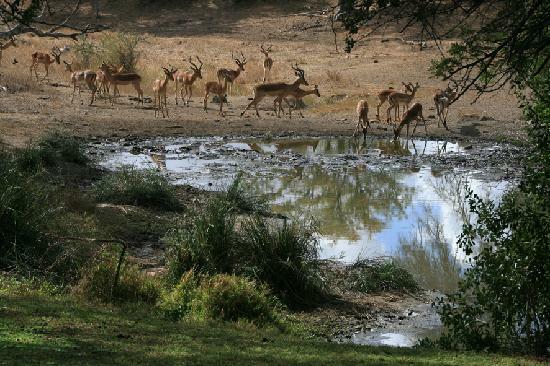 As in Limpopo, Mpumalanga is bushveld country, and it offers a wide selection of award-winning luxury game lodge experiences – particularly in the Sabi Sand Reserve. Here you can enjoy deluxe accommodation, with world-class service and cuisine, guided safaris and bush walks.Many of these exclusive lodges have their own spa facilities so you can enjoy a massage or treatment surrounded by the African bush. Most of these luxury establishments have small conference areas, ideal for secluded meetings in the bush. Elephant back safaris are also available at some of these lodges. 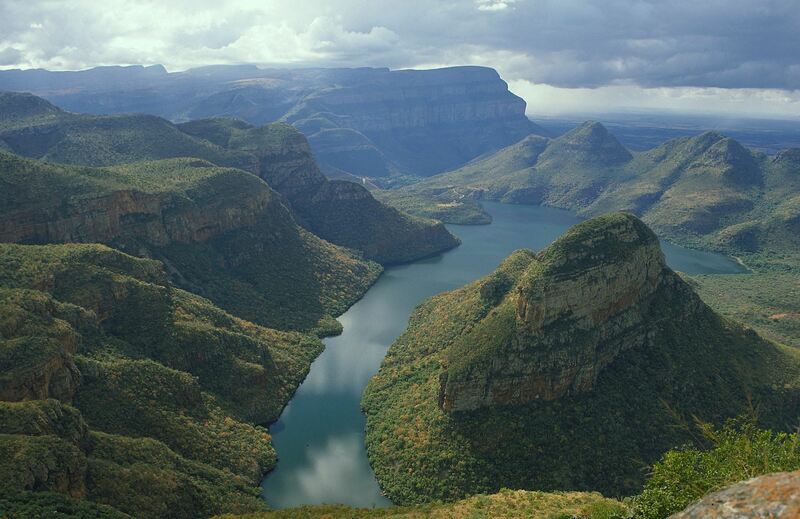 The magnificent Panorama Route in Mpumalanga is best known for its dramatic landscapes. Major highlights en-route include Blyde ‘Motlatse’ River Canyon the third largest canyon of its kind in the world, Bourke’s Luck Potholes, the Three Rondavels, Long Tom Pass and the exquisite outlook spot known as God’s Window. Life in this part of the world is to be savoured slowly and make sure you bring your camera along. 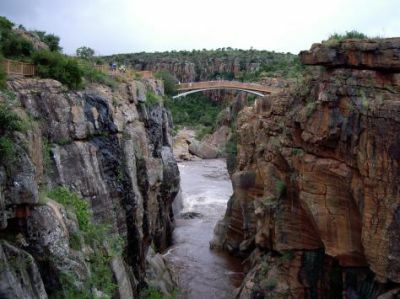 While it is difficult to compare canyons world-wide, Blyde River Canyon is one of the largest canyons on Earth, and it may be the largest 'green canyon' due to its lush subtropical foliage. It has some of the deepest precipitious cliffs of any canyon on the planet. It is the second largest canyon in Africa, after the Fish River Canyon, and is known as one of the great wonders of nature on the continent. Possibly the best view in the whole of the Blyde River Canyon is of the "Three Rondavels", huge, round rocks, thought to be reminiscent of the houses or huts of the indigenous people, known as rondavels. This canyon is part of the Panorama route. This route starts at the town Graskop and includes God's Window, the Pinnacle and Bourke's Luck Potholes. Blyde means "glad" or "happy"in Dutch, a name derived from a voortrekkers' expedition. The 'happy river' was thus named in 1844, when Hendrik Potgieter and others returned safely from Delagoa Bay to the rest of their party of trekkers who had considered them dead. 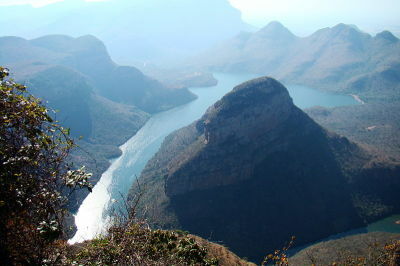 While still under this misapprehension they had named the nearby river where they had been encamped, Treurrivier, or 'mourning river'.The Blyde River canyon supports large diversity of life, including numerous fish and antelope species as well as Hippos and Crocodiles, and every primate species that may be seen in South Africa ,including both Greater and Lesser Bush Babies, Vervet Monkeys and Samango Monkeys. The diversity of birdlife is similarly high, including the beautiful and much sought Narina Trogon as well as species such as the Cape Vulture, Black Eagle, Crowned Eagle, African Fish Eagle, Gymnogene, Jackal Buzzard, Whitebacked Vulture, Bald Ibis, African Finfoot, Knysna Lourie, Purple-crested Lourie, Gurney's Sugarbird, Malachite Sunbird, Cinnamon Dove, Emerald Cuckoo, Red-backed Mannikin, Golden-tailed Woodpecker, Olive Bush Shrike, Green Twinspot, Taita Falcons very rarely sighted, a breeding pair lives in the nearby Abel Erasmus Pass, Cape Eagle Owl, White-faced Owl, Wood Owl, Peregrine Falcon, Black-breasted Snake Eagle, Wahlberg's Eagle, Long-crested Eagle, Jackal Buzzard, Lanner Falcon, Red-breasted Sparrowhawk, Rock Kestrel and others.. The Sudwala Caves in Mpumalanga, South Africa, are set in Precambrian dolomite rock, which was first laid down about 3800 million years ago, when Africa was still part of Gondwana. The caves themselves formed about 240 million years ago, making them the oldest known caves in the world. The caves were used for shelter in prehistoric times, probably due in part to a constant supply of fresh air from an unknown source in the caves. In more modern times, the caves were discovered by Somquba, one of the sons of the Swazi king Sobhuza I, who was fleeing from his brother Mswati II. Somquba and his followers used the caves as refuge, until Somquba was killed in an unexpected attack. Survivors stayed on under the leadership of an in Duna (headman or leader) named Sudwala, thus the name. During the Second Boer War, in 1900, the caves were used by the Boers to store ammunition for their 94-pounder Long Tom guns. It was thought that the caves may have been used by President Paul Kruger to store the legendary "Kruger Millions", gold bullion which reputedly disappeared somewhere between Waterval Onder and Nelspruit during Paul Kruger's flight from Pretoria to Lourenço Marques (now Maputo). In 1914 a company was formed to excavate huge amounts of bat guano; this was sold as fertilizer to farmers.The Sudwalaskraal farm that is home to the caves was purchased in 1965 by Philippus Rudolf Owen, and he opened the caves as a tourist attraction.The major chamber in the Sudwala Caves is the P. R. Owen Hall; it is 70 metres in diameter and 37 metres high, with a constant temperature of 17°C. This chamber was used as a concert hall on a number of occasions, including July 1970, when the Russian singer Ivan Rebroff gave a concert. Concerts were stopped due to vandalism in the caves in 2002, but were started again in 2006. There are a number of calcium structures in the cave, known by names such as the "Lowveld Rocket", "Samson's Pillar", and the "Screaming Monster"; some have been dated to 200 million years old. There are also microbial fossils of a cyanobacterium known as collenia in the rock; these formed 2000 million years ago.The Sudwala Caves are a popular tourist attraction in Mpumalanga, and are next to the P R Owen Dinosaur Park. One-hour tours of the cave are run during the day, and a monthly five-hour-long "Crystal Tour" takes adventurous visitors 2000 metres through the cave, with the tour culminating at a crystal chamber that bears aragonite crystals. After it was officially declared a gold field in September 1873, the town suddenly grew to 1,500 inhabitants searching for alluvial gold. Towards the end of the 19th century claims were bought up and underground mining started by the company known as TGME. Mining was closed down in 1971 and the village sold to the government as a national museum. Transvaal Gold Minings Estates, currently part of the listed Simmers and Jack, started gold mining again in 1998. The town’s original architecture remains largely unchanged since then, because the town was declared a National Monument in 1986. Pilgrim’s Rest was the location of an emergency mint during the Second Boer War. This mint struck the famous and extremely rare Veld Pond.Also at the graveyard, every single grave was laid facing in the same direction, except for the famous Robber’s Grave which is laid perpendicular to the rest, emblazoned simply with a cross and the large type words of Robbers Grave. It is said that his grave was laid out that way so that could not see the rising sun. 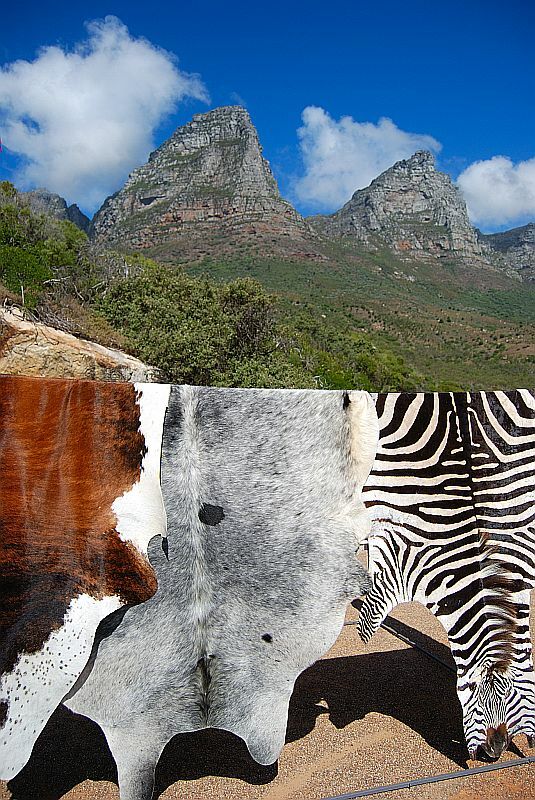 For those wishing to experience the tribal culture of Mpumalanga, the village of Botshabelo (Place of Refuge) has an excellent open-air museum, providing an authentic look at the colourful Ndebele culture. The village houses Ndebele huts, decorated with beautiful traditional geometric paintings that are so well-known in this part of the world. Another notable cultural experience is the Shangaan Cultural Village, which again will give one insight into the life of the Shangaan people.Chrissiesmeer, in Mpumalanga's lake district, was once an important staging post for transport wagons making their way to and from the interior to Maputo in Mozambique.But the coming of the railroad reduced its strategic position and the area turned to farming and forestry. Today, however, Chrissiesmeer has once again become an important destination not for gold miners and transport drivers, but for visitors looking for natural beauty, history and hospitality. The charming little town is surrounded by 270 lakes and pans and is named after its biggest lake, Lake Chrissie. The story goes that an entrepreneurial Scotsman, Alexander McCorkindale, came to the area in the 1850s, fell in love with it because it reminded him of his native country and bought up many farms in the area.He was also an ardent admirer of then-President Pretorius' raven-haired, beautiful daughter, Christina (Chrissie), and named the largest lake after her. And so the name of the town was born.There's a lot to experience in Chrissiesmeer. The lakes and grasslands, havens of tranquillity, are home to abundant birdlife look out for Blue cranes, Red-winged francolins, Chestnut-banded plovers, the elusive Red-chested flufftail, flamingos and, in summer, migratory waders.It's not only feathered friends but froggy ones too that draw the crowds. Every December there's a Frogging Festival. Florence Guest House hosts the annual festival that lures frog fans from far and wide to an action-packed night filled with facts, wetland expeditions and 'ribbiting' fun. Interestingly enough, the Siswati name for Chrissiesmeer is Matotoland, which means 'frog land'.The little town is full of fascinating historical buildings and the 1901 Battle of Chrissiesmeer, a defining battle in the Anglo-Boer War, was won here by General Louis Botha against a vastly superior British force of 12 000 men.You may well have seen pictures of the brightly painted homesteads and colourful crafts of Mpumalanga’s Ndebele villages in magazines all over the world. When you visit a Ndebele village you'll see for yourself the vibrantly coloured geometric designs of their dwellings and dramatic traditional clothing. The little town of Siyabuswa in Mpumalanga’s cultural heartland is home to the Kghodwana Cultural Village where you can follow the progress of the Ndebele from 1 000 years ago to today. The people in this region are linguistically related to KwaZulu-Natal’s Zulu tribe and the Ndebele of Zimbabwe.Take a tour of the village, shop for stunning crafts such as bracelets, necklaces, mats woven of dry grass and beadwork-adorned gala blankets, visit one of the Royal Kraals and admire the heavy brass rings worn by married women around ankles and necks to display their wealth.It's the Ndebele women who traditionally paint the vivid geometric designs of the homesteads, based on triangular and rectangular shapes. Skills are passed from mother to daughter and the shapes used are often inspired by their intricately fashioned beadwork. Another Ndebele village well worth a visit is situated at the beautifully restored Botshabelo Mission Station where early South African Christians sought refuge and found education training from the mid-1800s. This Ndebele village is an open-air living museum of vibrant colour.Admire the artwork of the huts, the glowing murals on internationally acclaimed Ndebele artist Esther Mahlangu’s family homestead, the beaded aprons of the little girls, the glowing colours of blankets and beadwork, and chat to the married women about their spectacular clothing.Thirsty after all this sight-seeing? Then pop over to the Loodspruit Wine Estate – South Africa’s northernmost vineyards just across the road from the village.